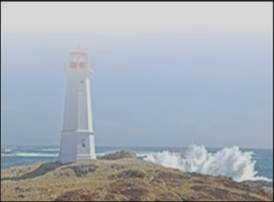 scholarship lighthouse -- Spreading light on the sea of knowledge! | Spreading light on the sea of knowledge! WELCOME TO SCHOLARSHIP LIGHTHOUSE! Research & Dissertation Editing Services. Scholarship Lighthouse is a nonprofit organization dedicated to outstanding quality independent research on social, educational, and related issues. In addition, through Scholarship Lighthouse Partners, Kate Andrews, PhD and Bethany Mickahail, PhD, provide excellent affordable editing, proofreading, and formatting services to writers of academic papers, theses, and dissertations. Our focus is to help thriving thinking students to communicate clearly their ideas in a scholarly manner. As dissertation consultants, we also provide consultant services to advise and mentor students in selecting a topic and the topic’s development, research, and reporting in a scholarly dissertation or thesis. We are experts in dissertation topic development, writing; research design, methodology, developmental editing, statistical analysis, and qualitative analysis. We uphold and comply with the highest academic integrity standards. Please write to us below for more information about our rates and services.